The Higgs boson is the last piece of the physics Standard Model, a collection of theories that underpin all modern physics. The Higgs particle is theorized to mediate mass -- like a photon (also a boson) mediates the electromagnetic force, i.e., light -- and creates the "Higgs field" that must pervade the entire Universe, endowing matter with mass. Here is why we believe in the Higgs, and why it was really discovered decades ago. Geometry symmetry is the most important concept in 20th century physics. Poincare introduced it with his 1905 geometric version of special relativity, and his search for physical laws that obey symmetries. Its crucial importance to classical mechanics was shown by Noether, and the importance to quantum mechanics by Hermann Weyl. 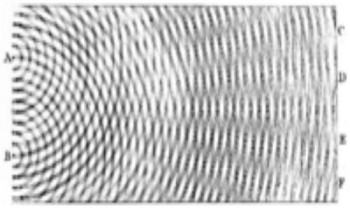 The concept can be used to generalize electromagnetism to other fields (like strong and weak forces), as shown by Weyl, Higgs, 'tHooft, and others. The Standard Model is based on geometric symmetries, but if there are too many of them, then all particles are massless like photons and nothing interesting happens. So there has to be a field that breaks the symmetry. All fields are quantized, so there has to be a particle also. That is what is being found at 125 GeV. In a sense, the Higgs is like an aether that is uniform, everywhere, and invisible. You could say that mass is just a measure of resistance to passing thru the Higgs aether. This description is a little misleading because most of the proton mass comes from the binding energy of the quarks, but the quark mass is believed to be derived from the Higgs breaking the symmetry. This is all explained in my book. For a recent survey by an expert, see Wilczek, Origins of Mass. If you have been watching PBS TV science shows, you might have been expecting LHC announcements on string theory, supersymmetry, and the multiverse. However, all of the evidence has been against those misguided concepts. Confirmation of the Higgs boson or something very like it would constitute a rendezvous with destiny for a generation of physicists who have believed in the boson for half a century without ever seeing it. And it reaffirms a grand view of a universe ruled by simple and elegant and symmetrical laws, but in which everything interesting in it, such as ourselves, is due to flaws or breaks in that symmetry. According to the Standard Model, which has ruled physics for 40 years now, the Higgs boson is the only visible and particular manifestation of an invisible force field, a cosmic molasses that permeates space and imbues elementary particles that would otherwise be massless with mass. Particles wading through it would gain heft. Although they have never been seen, Higgs-like fields play an important role in theories of the universe and in string theory. Under certain conditions, according to the strange accounting of Einsteinian physics, they can become suffused with energy that exerts an anti-gravitational force. Such fields have been proposed as the source of an enormous burst of expansion, known as inflation, early in the universe, and, possibly, as the secret of the dark energy that now seems to be speeding up the expansion of the universe. The Higgs boson is the most unusual known particles, being spin 0 and playing a unique symmetry-breaking role. Its discovery is the most dramatic achievement of theoretical physics in history. It is part of the aether that is completely essential to modern physics. The aether is everywhere, uniform, and invisible. The aether probably explains dark energy, but none of this has anything to do with string theory. String theory does not predict an aether, Higgs boson, or dark energy. After 30 years of work by the world's smartest physicists, it has never had a success like the Higgs. The Higgs is a confirmation of the theory that string theory was supposed to replace. 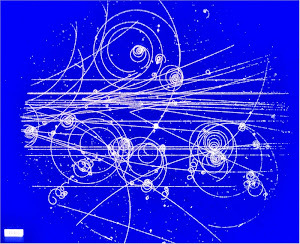 Hearing all the hoopla about the Higgs, the public might understandably assume that it represents a crucial step toward a unified theory–and perhaps at least tentative confirmation of the existence of strings, branes, hyperspaces, multiverses and all the other fantastical eidolons that Kaku, Stephen Hawking, Brian Greene and other unification enthusiasts tout in their bestsellers. But the Higgs doesn’t take us any closer to a unified theory than climbing a tree would take me to the Moon. That's right. The LHC spent $10B to confirm the high-energy physics of the 1970s, but all hopes for a grander theory have been a total failure. Physicists have already produced theories –- Newtonian mechanics, quantum mechanics, general relativity, nonlinear dynamics –- that work extraordinarily well in certain domains, and there is no reason why there should be a single theory that accounts for all the forces of nature. The quest for a unified theory will come to be seen not as a branch of science, which tells us about the real world, but as a kind of mathematical theology. I agree with that, and I go further in my FQXi essay. I say that there is no reason that this mathematical theology should even be valid for those domains like quantum mechanics. Theoretical physicists are chasing the impossible.